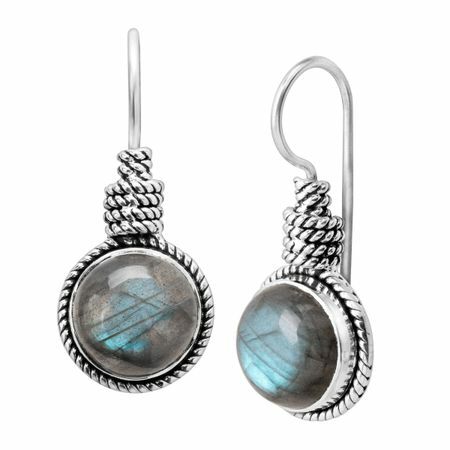 Multidimensional, natural labradorite cabochons are wrapped in ropes of sterling silver - perfect for letting your style set sail. Earrings measure 1 1/4 by 9/16 inches and feature French wire back findings. Pieces come with “.925” sterling silver quality stamps as symbols of guaranteed product quality.